This publication embodies The Cypress of Raleigh dedication to quality of life that is perfectly designed for an independent lifestyle. It’s a community that has been carefully and thoughtfully planned to ensure the highest level of service and the highest degree of satisfaction. 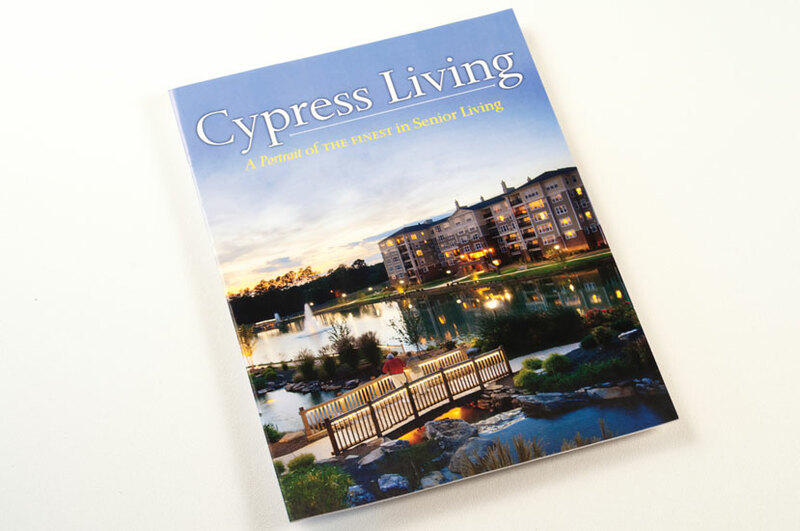 The Cypress Living Magazine design helps communicate that attention to the details of living a comfortable, independent life. The staff of the Cypress are “Ladies & Gentleman serving Ladies & Gentlemen” and we did our best to convey the first-class level of service provided to residents through the photography, messaging and design. 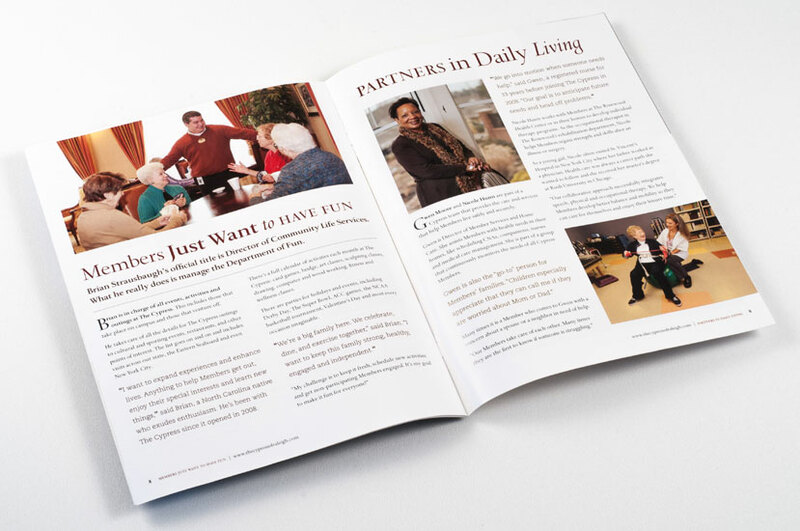 This magazine contains information for residents about amenities, facilities, meals and more.